Facebook Ads are the best online advertising tool. You can reach up to 1.5 billion people around the world and find the audience you’re looking for among them. There are many Facebook Ads objectives and types of posts you can promote. In Facebook (for instance by promoting a photo), or outside Facebook (for example by sending people to your website or another App). 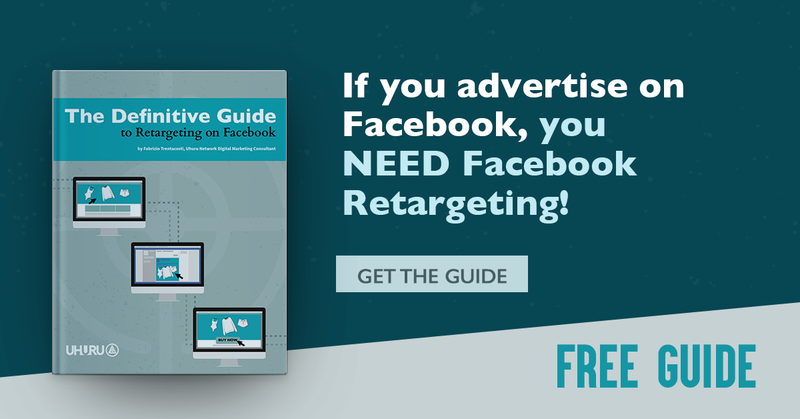 Read more: How to Get the Most out of Your Facebook Advertising. Recently Facebook made advertising on Instagram available, a way for Facebook users to advertise on Instagram (which, as you should know, is owned by Facebook). All you need is a Facebook account, a Facebook Page, and an Instagram account. By Advertising on Instagram, you’re able to reach a specific target, among more than 400 million active users. In this post, I will provide you with a simple step-by-step formula, to guide you in setting up the account to running your first Instagram Ads campaign. If you’re reading this article about Instagram chances are you don’t have a business manager. Therefore, we’re going to follow the second and easy way. Before we start there is important information you should know: you don’t need an Instagram account to do ads on Instagram. You can, in fact, connect the ads solely to a Facebook Page and they will work in the same way. Having an Instagram account is good because it gives additional benefits to your ads, by giving users the ability to become your followers and discover more about you and your business. So you can either skip the first step, and go straight to the second, but it’s recommended that you don’t. To connect an Instagram account to a Facebook page, visit your page (you need to be an administrator) and hand over to the Settings area. On the left menu click on “Instagram Ads” and follow the instruction (you’ll need your Instagram credentials). Your Facebook Ads Manager is located here. Once you open it, you will see the list of your current Facebook Ads Campaigns. Click on the green button at the top-right of your screen: “Create Ad”, to start the ads creation process. To place the ads into Instagram, we have three objectives to choose from: “send people to your website”, “get installs of your app” or “get video views”. Let’s for instance choose “click to website”, to drive people to a specific URL. Pick the URL where you want people to go after they click on the ad, choose a target and, on the bottom of the page, proceed with the ads creation. Here you should find your Instagram account connected to your page, and, on the right side, the New Instagram Placement Option. As you can see on the image, you can pick one or many placements to have ads going only to Instagram or in both Instagram, Facebook, and Audience Network. Facebook Power Editor is a powerful tool for advanced marketers on the Facebook Platform. It allows you to edit all aspects of Facebook Ads and has many advantages over the classic Facebook Ads Manager. As on this case, it gives you access to new features, before they are launched to everyone using the ads manager. You can access to your Facebook Power Editor by following this link. When you do, click on Download to Power Editor to load all of your campaigns/ads to the tool. Fb Power Editor works offline, by letting you create ads locally and then upload them online. To create a campaign click on “+ Create Campaign”. To place our ads into Instagram, we have three objectives to choose from: clicks to a website, mobile app installs or video views. Pick a name for your campaign, and create an Ad Set and an Ad. Edit the adset to select a target for the ads, and then get down to the page to view placement options. Select Instagram and remove the others. Next, edit the ad. Select your page, and you’ll see a new section named “Instagram account” where you can select the Instagram account previously connected to the page (step 1). Create now your ad, by completing the URL, text and description field. As soon as you complete the section, you should see a preview on the right side of the screen. The suggested image size is 1080 × 1080 pixels with an image ratio of 1:1. Your image can’t have more than 20% text. The example is a “click to website” objective. You will see the call-to-action button below the images, which people will click to visit your website. Finally, for the “mobile app install” objective you’ll need an app to promote. Here are the specs for the ad. Well done! You’ve just created your first Instagram Ads campaign using Facebook Ads! You can now view and check it from your Facebook Ads Manager. We hope this guide has helped you with advertising on Instagram! If you have questions on how you can use Instagram ads for your business, contact us.